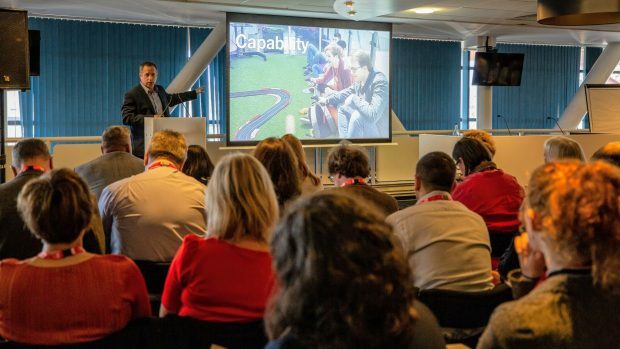 I was really pleased to be able to share our experience of in-housing our IT and migrating from legacy technology with colleagues from across government at the recent Transforming Together event in Cardiff. This was not about blowing our own trumpet. It’s a commitment to sharing our challenges as well as our successes. At the Driver and Vehicle Licensing Agency (DVLA), we’re focussed on developing best in class front end services using the agile methodology. Our end goal is to become a truly modern organisation, empowered to improve services quickly and cost-effectively. We want to change as rapidly as the world around us, and by using new platforms that are fit for purpose, we will also reduce the risk of service failures and down time. But the barrier is our technology. So I want to introduce you to Legacy World. You’re all probably familiar with the place. In Legacy World, the costs of making small changes to monolithic applications with significant manual test effort is prohibitive. Small changes are batched up for big quarterly releases. This means that if there is a change that has a negative impact, we have to live with the consequences for a long time, making us more reluctant to change. We still deliver what is asked of us by our users and government, but it’s a long and costly process which means the risk appetite is low, stifling innovation and continuous improvement. Improvements in technology are outpacing our ability to change, and in one case a couple of years back we actually implemented a system that was out of support at the time of go live because of the time taken to deliver it. 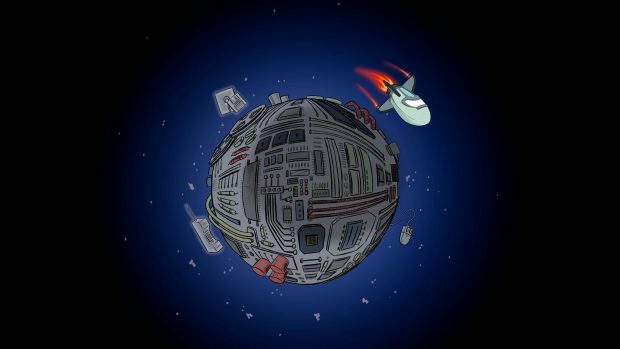 So we’re stuck in orbit around Legacy World, and we have been for some years now. The good news is that we now have a plan to escape. 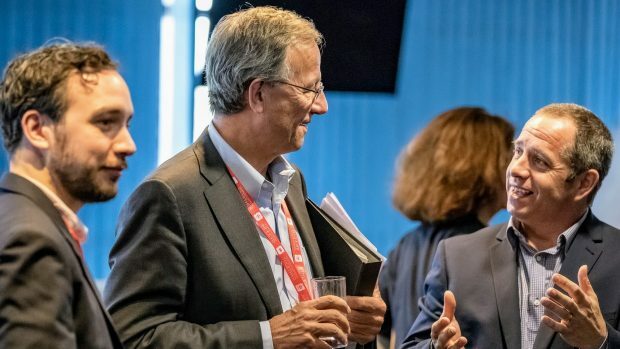 It’s a huge map of the technological work required to deliver the entire transformation programme, and it has some key steps anyone can repeat. To leave Legacy World, we need to start delivering change at a much faster pace to reach escape velocity, and to do this we need stable services. If we start trying to change at a faster pace with unstable services, we’ll be constantly firefighting and having to explain the reasons for failure, which will slow us down and erode confidence in our capability. The real transformation in DVLA is about the people. As Tony Meggs said in his speech at Transforming Together, a successful transformation needs to put people first. Becoming best in class is about attracting, growing, and nurturing professional talent. It needs a real focus on creating the right environment and culture for people to thrive in. And it is about doing things together. We started with a redesign of our organisation, focusing on creating more technical roles. We’re growing in house capability by partnering with local education providers to create a Centre of Digital Excellence within DVLA. This is allowing us to attract and develop talent across a range of roles. Alongside this, we’ve spent a lot of time focussing on ownership and empowerment. I’ve blogged before about how critical it is to encourage a culture of independence and freedom. This is not something that changes overnight, and it’s great to see some positive changes start to appear. We’re using a squad model for our engineers. This has been crucial in handing back control and developing ways of working that allow people to work at a faster pace. It’s what our DVLA software house is all about, and we’re seeing a huge shift in attitude and capability. By taking the shackles off people and trusting them to make decisions, we are now delivering as much functionality in two weeks as we were delivering in six months previously. Most importantly we’re seeing the green shoots of innovation, of people not being afraid to try new things. One of our squads recently re-platformed one of our legacy applications onto our new target technology stack (Kubernetes and Docker) in their own time as they were so keen to learn and progress. You’ll also have seen our move into the world of voice. At Transforming Together, we announced the expansion of our services onto Google Assistant. No, and we know that we are a long way off. What we have done is lay the foundations to be able to reach escape velocity and leave Legacy World behind. We’ve done the hard work to make change simple, and the results so far are pretty impressive. Our IT operating costs are 40% lower, and we’ve also delivered service availability figures of 99.89%. We really are doing more for less. The journey will continue, and I’m looking forward to updating colleagues on our progress at the next Transforming Together conference. Stay in touch with this transformation journey by following the DVLA on Twitter and reading the Digital DVLA blog. Sign up for alerts from this blog and join the mailing list for the cross-government transformation team to receive information about the next Transforming Together conference.